Note: Your phone was shipped with a plug protector for the antenna connector. You must remove this prior to using the Antenna Adaptor. Failure to remove this plug will result in the inability to install your antenna adaptor. 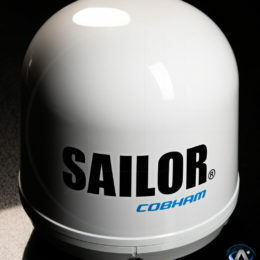 The Antenna Adapter allows you to connect your Iridium 9555 Satellite Phone to an external antenna. The adapter uses a TNC female connector to attach to an antenna cable with a TNC male connector.